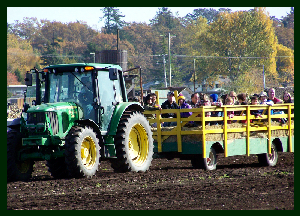 Hayrides to the Pumpkin Patch! 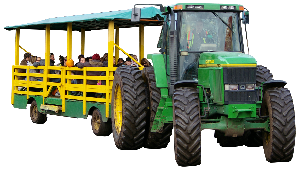 Bounce aboard the hayride for a trip to the Pumpkin Patch to choose your own pumpkin for halloween. No fall is complete without this annual event held every weekend in October. The Saturdays and Sundays of October following Thanksgiving weekend are Pumpkinfest! This event is on from from 10:00 a.m. until 4:00 p.m.